Shraddha Kapoor is set to appear in a never-seen-before avatar in Apoorva Lakhia’s directorial, Haseena Parkar. The film is based the real-life story of Haseena, sister of Dawood Ibrahim. While the actress and the makers are eagerly waiting for the release, they have landed in legal trouble. 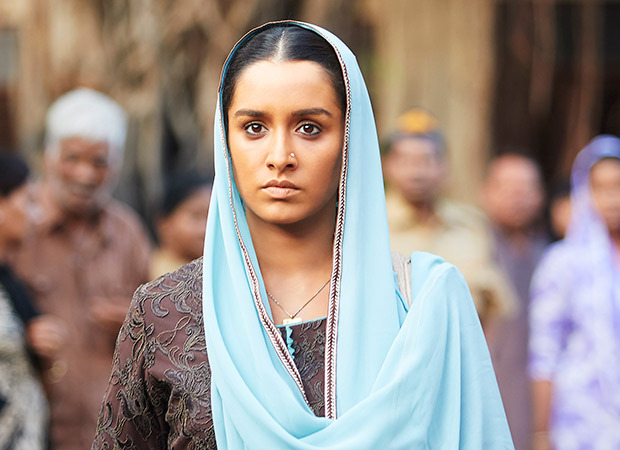 According to the reports, a fashion label has filed a criminal complaint against Shraddha Kapoor and one of the producers of Haseena Parkar Swiss Entertainment accusing them of cheating and criminal breach of trust. The complaint is filed allegedly for not promoting fashion label AJTM during the promotional tour of the film in the violation of an agreement. Fashion label AJTM, under the designers Aj Mistry & Thea Minhas and M&M designs, mentioned in their complaint that the makers of Haseena Parker had promised a ton of publicity during promotions. The designers have claimed that they delivered some 300 outfits to be used in the film and were promised good media coverage for their brand. The copy of the complaint revealed that Shraddha Kapoor was supposed to make one visit to their store during the promotions. Then, one day shoot would be held at the AJTM store by Apoorva Lakhia, Shraddha Kapoor and Siddhant Kapoor on the launch of Haseena line with media coverage. The designers’ lawyer Rizwan Siddiquee said that it was very unfortunate that the obligations as undertaken in the agreement were not performed and his clients have felt cheated for the same. So, therefore, his clients had to file a criminal complaint in the Mumbai Court against the Producer Swiss Entertainment and Shraddha Kapoor. The case will come up for hearing on October 26. Directed by Apoorva Lakhia, Haseena Parkar is scheduled to release on September 22, 2017.